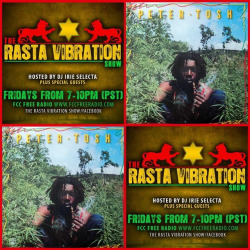 Pure jugglin tonight on The Rasta Vibration Show! Make sure to tune inn to FCC Free Radio with Dj Irie Selecta 7-10pm(pst). We are flashing back with a all vinyl show tonight! www.fccfreeradio.com Studio 1A!